There are a lot of options to choose from when you are searching for new flooring for your home or business, but one style rises above the rest. Hardwood floors are a highly coveted addition to any residence, and while solid hardwood does come with some added installation and maintenance requirements, the benefits far outweigh the drawbacks. In today’s post, we’ll be discussing four great reasons why you should choose wood flooring for your next construction or remodeling project. When you’ve made up your mind, contact Good Ol’ Boy Hardwood Floors! We are Kansas City’s Top Rated Local® source for everything wood flooring, from expert installation to refinishing and repair. Explore our portfolio to see what beautiful projects we have worked on before and get in touch today to learn what we can do for you! If you have been considering solid hardwood flooring for your next project, you already know about one of the greatest advantages of wood: its unparalleled aesthetic value. Hardwood is a gorgeous addition to any home or business. It brings a warmth and timelessness to any room, and its neutral colors are easy to decorate or match to other design elements. Another well-known benefit of hardwood floors is the value they had to your property. If you are thinking of selling your home at any point in the future, keep in mind that may homebuyers look for and prefer homes with hardwood flooring. It’s an investment that can make for excellent resale value. 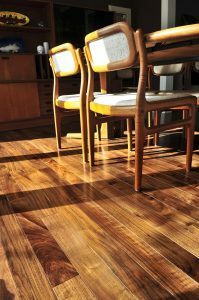 Even if you don’t plan to sell your property, solid hardwood is a fantastic choice for long-term flooring you can enjoy for years to come, which we will explain more later in this article. Artificial types of flooring like laminate can offer a wide variety of colors and styles, but so does hardwood! There are dozens of wood species to choose from, including red oak, white oak, maple, and hickory. You also have the option to find unique styles and stains to fit your interior design plans. As if that weren’t enough, you can even mix it up with different styles of wood floor installation! 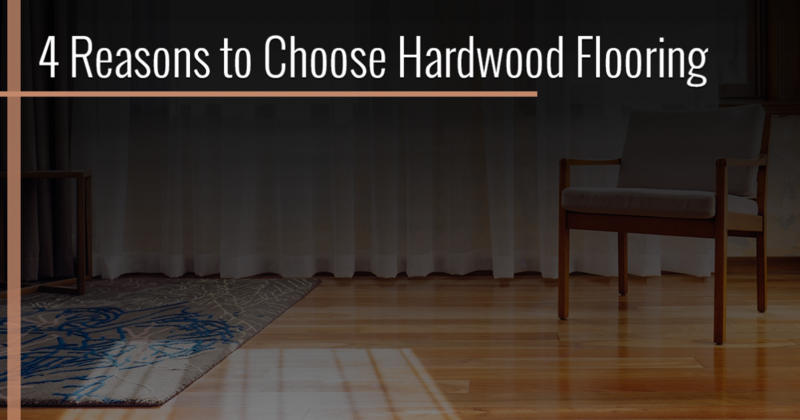 Rest assured, you won’t be limiting your options if you choose solid hardwood flooring. You can find the perfect variety to match the rest of your house, and you even have the option to refinish and restain your floors in the future if you change your mind in the years to come. One of the greatest advantages that wood flooring has over other options is its ability to outlast them. Hardwood floors have been used in homes around the world for hundreds of years, and many of them are still intact, speaking to the lasting beauty and quality of wood when cared for properly. While you do have to be careful of moisture, maintenance of solid hardwood flooring is rather simple. Sweeping, vacuuming, and occasionally using a dedicated wood cleaner can help your floors last for years if not decades. When the surface becomes too worn, scratched, or stained, you have the option to refinish your hardwood floors and make them like new again. Whether you have old wood flooring that you want to refresh or you are looking for a trusted local company to install new flooring, Good Ol’ Boy Hardwood Floors is here to help. We specialize in all things hardwood, from repairs and refinishing to installation, and our team offers the Kansas City and Wichita metro areas more than 30 years of combined experience. Choose a Top Rated Local® hardwood flooring company for your next project — call Good Ol’ Boy Hardwood Floors today to get started!